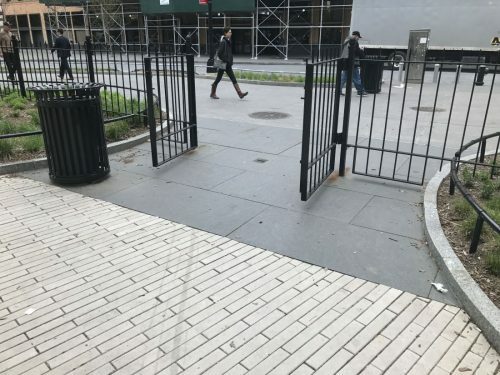 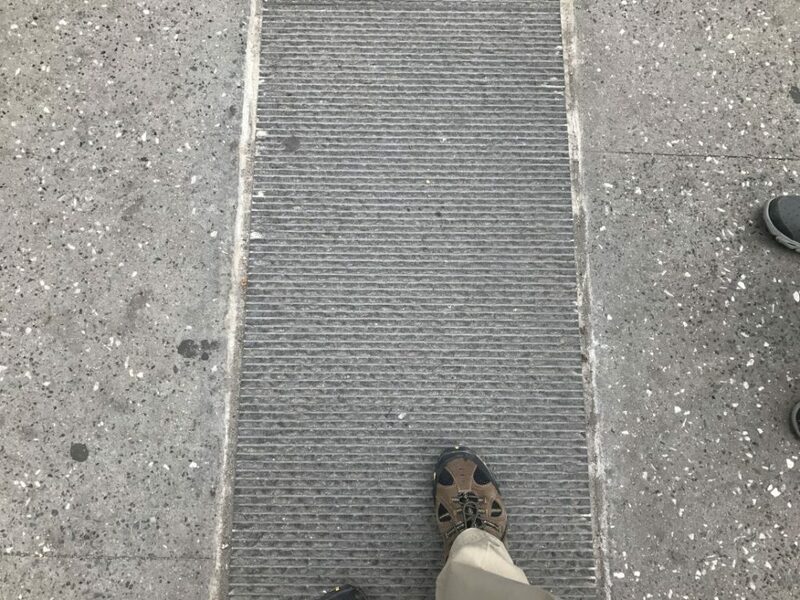 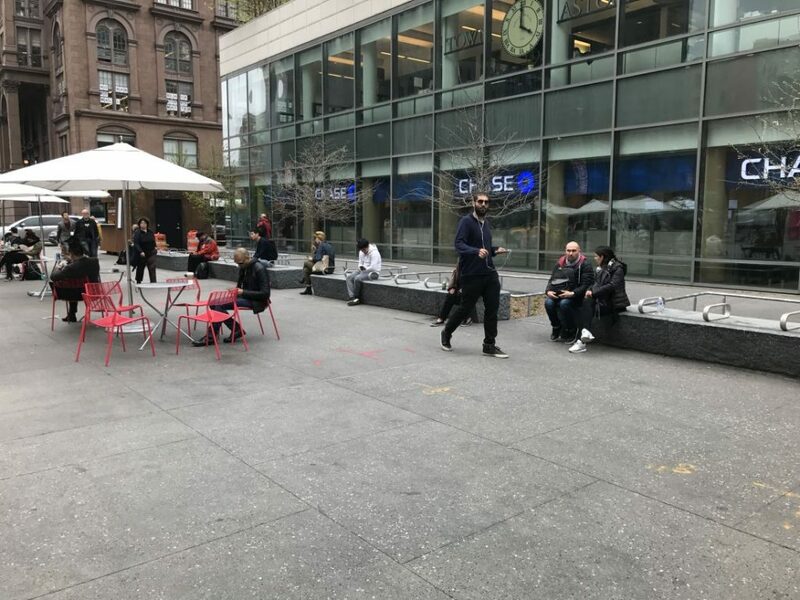 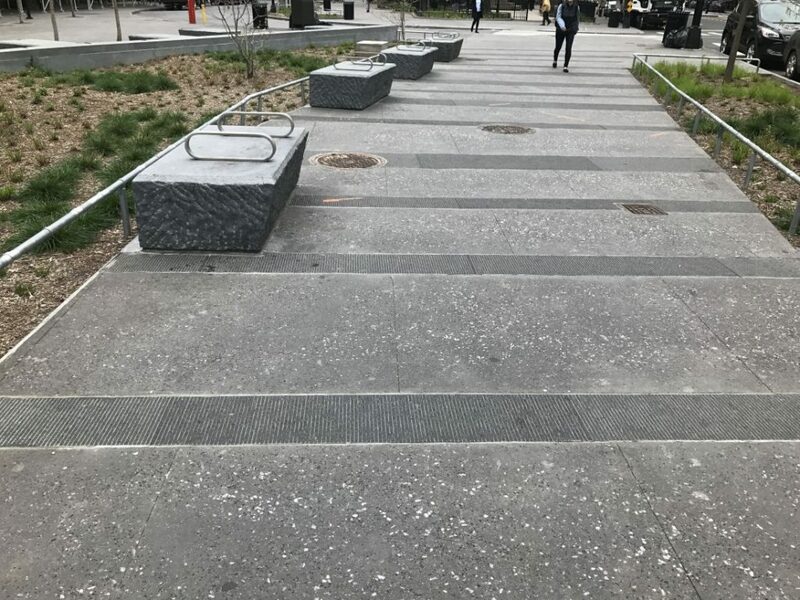 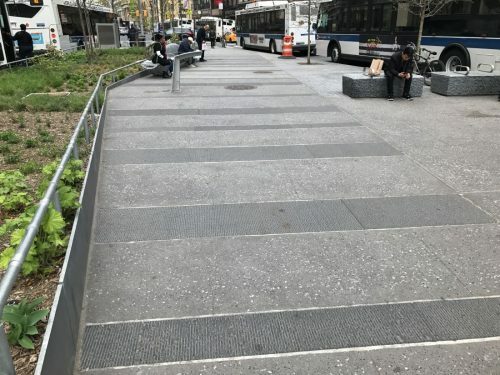 Right outside the Cooper Union in lower Manhattan, this small park has monolithic Shinto Gray granite benches and steps, as well as Crystal Black Basalt paving strips in a sawn & line chiseled texture. 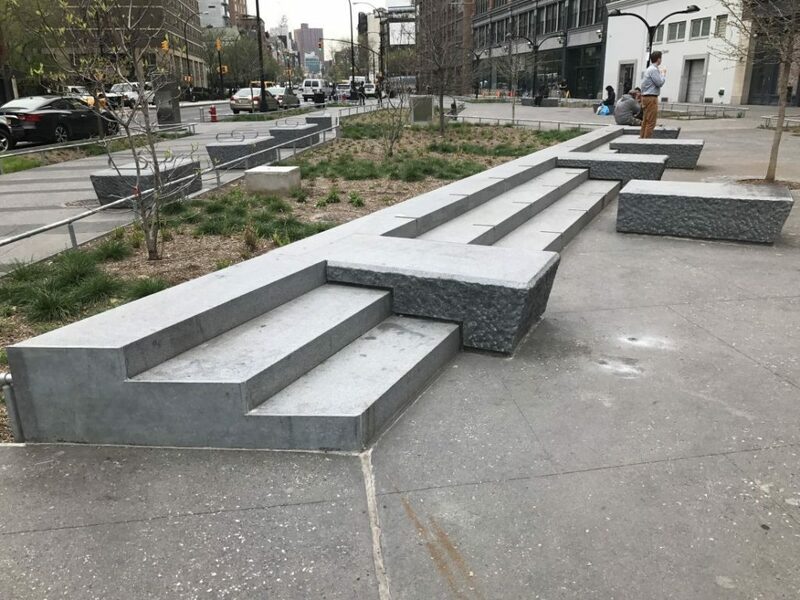 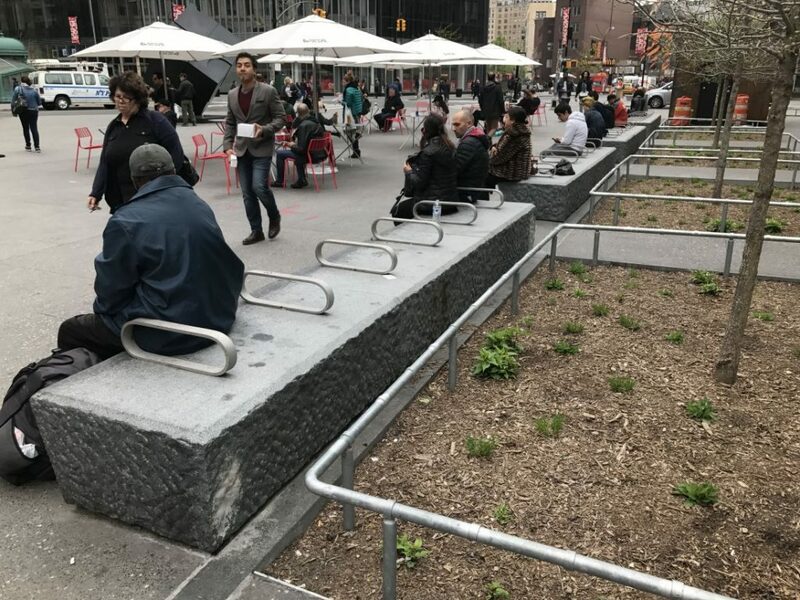 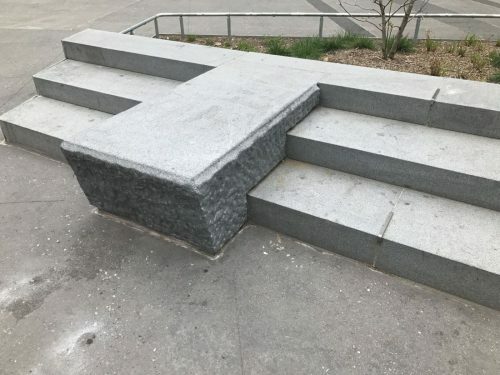 Designed by XYZ Architecture, much thought was given to creating welcoming seating for students, but discouraging skateboarders. Stonetrade supplied the stone to Triumph Construction of the Bronx in 2015.